Many of us have dreamt of flying, in this game you get to do just that by using the Wii Balance board to soar like a bird through the trees. To give people the opportunity to fulfill that dream of just flapping your arms and flying away. The player has a bird's eye view of the world and they navigate through the trees and buildings (depending on the environment/setting). 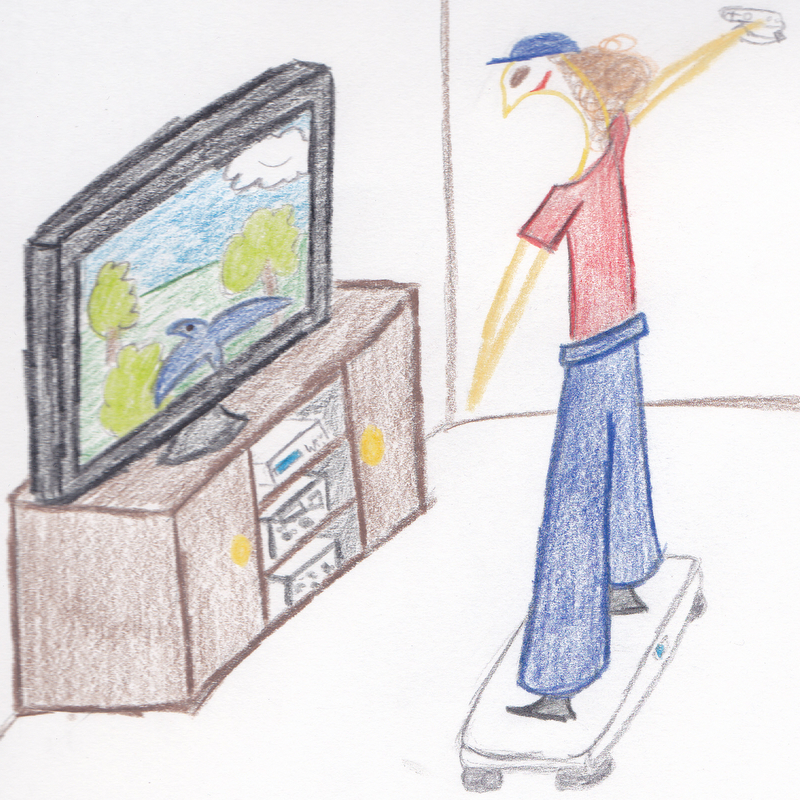 To fly higher the player flaps their arms, and to change direction (left or right) the player shifts weight from one foot to another on the Balance board. If a player knocks into an obstacle, they will fall and be forced to repeat the level again. Levels will be based on different environments (e.g. forest, city, mountains etc...). Levels become more difficult by increasing the number of obstacles in the way and causing the player to move left and right across the screen more quickly. Navigating through the world will seem simple at first, allowing people to easily fulfill their flying dream. However, the game will be challenging so that when the player bumps into obstacles they will want to do the level again so they can navigate successfully through the level. It will build upper body strength because holding your arms out can become tiring. The game will need to make sure players are given rest periods for their arms.